The Catania model has everything you can dream about in a fancy bathroom faucet: dark ORB finishing, in contrast with bright LED lights and an elegant design for the spout and handle. This model is great either as a bathtub faucet or as a sink faucet, if your bathroom sink is large enough. 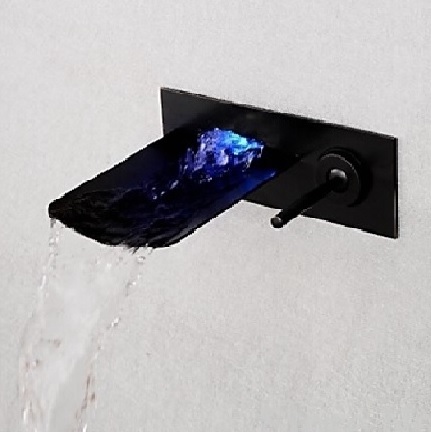 The spout is 5.1 inches wide, creating a nice effect as the water flows freely. It comes with hot and cold water mixer for your convenience and it is wall mounted, two holes, with one handle. 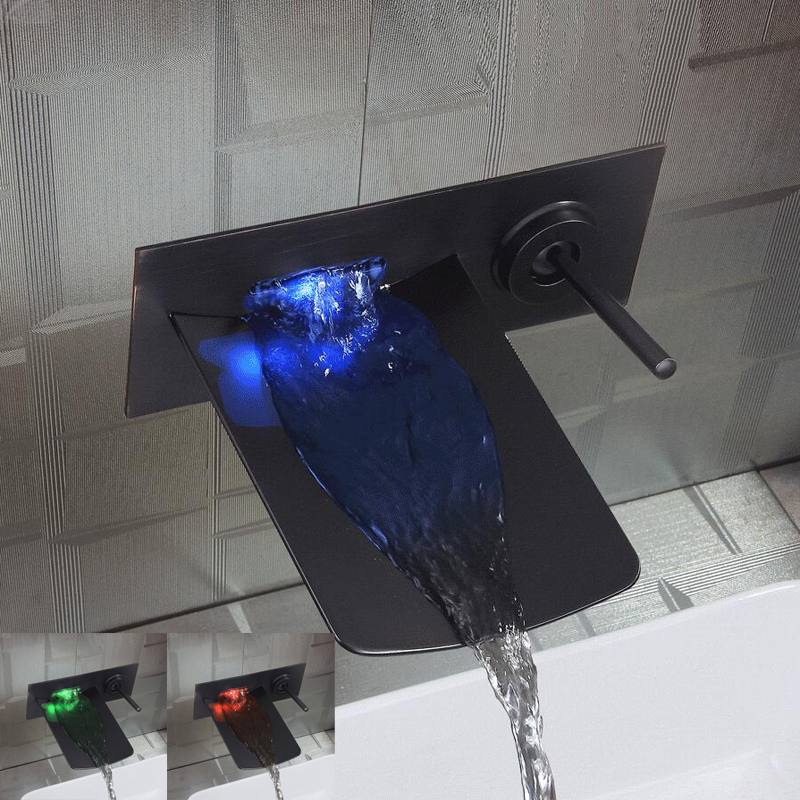 The LED lights are activated by the water flow and they are temperature sensitive, changing colors from blue to green and to red. The body, spout and handles are made of brass, while the valve core material is ceramic for best performance and long lasting life time. It comes complete with accessories and installation instructions. I was able to install this thing on my own. I have had experience when it comes to bathroom fixtures and the likes, and this was kind of easy even though I am not a certified plumber. As for the faucet itself, I'm quite pleased with how it works and looks. There's nothing more to complain about save for the long delivery time. This is the first time I'm ever going to have a wall mount faucet installed, and though there were a lot of challenges like boring holes in the wall and realigning the pipes, I can say that all of it was worth it. This is also the first time that I'll have and LED lighted faucet, and I have to say that I was pretty amazed at how it works. I really think this is a great product and I hope it lasts for many years to come. I wasn't sure if I wanted this at first, though there's something in me that keeps pulling me towards it. I think it must be the dark bronze finish or perhaps the LED lights, anyway I got one. Well, that was one of the best decisions I made so far because I simply love this faucet. I never thought I'd enjoy it this much. The LED light's great, though I'm wishing it could be a bit more brighter. This is the first time I had one of these LED faucets, and I must admit that I am very impressed with this one. I was first skeptical about ordering, but I decided to give it a try anyway. So I ordered one and had it installed, and I don't regret anything about this purchase to date. I just hope that the LED lights would last for a long time, though the plumber said that they will.